Oscar Health, a private health insurance company, is a new face on the health insurance scene but it is making quite a name for itself as an industry disruptor with its unique usage of technology to offer affordable healthcare insurance utilizing digital apps. It was founded in 2012 in New York City by Mario Schlosser, Kevin Nazemi, and Josh Kushner. The healthcare insurer startup has a current valuation of approximately $2.7 billion. Coverage is offered in New York, Texas and California with plans to expand to Ohio and Tennessee. The Oscar Center was opened in November 2016 in a partnership with Mount Sinai Health System offering members access to a primary care practice as well as free classes in yoga and healthcare classes for expectant mothers. There is a 24/7 doctor on call service as a part of membership available in a downloadable application for Android, iOS or the Oscar web app. With the Oscar app, patients can simply tap it to request a callback from the doctor within minutes with the “Doctor on Call” feature. The doctor-on-call app can also send prescriptions to your pharmacy. No referrals are required to see the doctor of your choice—including specialists. The model is based on simplicity with an emphasis on technology and the overall customer experience. Customer care is handled by a “Concierge Team”; three care guides and a registered nurse that provide clinical healthcare and answer customer questions. There is direct appointment scheduling with preferred provider partners. Oscar healthcare preferred providers are able to access patient information through a clinical dashboard compiling patient histories into a single platform. How Does Oscar Health Measure Up? Oscar Health has a unique perspective in that it not only wants to find affordable health insurance for its policy holders but it also wants to engage its customers offering incentives for being active (step tracking by a free wearable), cash incentives for getting a flu shot, two free primary care visits as well as offering free generic drugs. Paying a higher premium gives you a lower deductible but you have options, depending on your budget and healthcare situation. There are HSA-compatible plans in California, Texas an Ohio. Oscar Insurance will take some time as a new insurer to build its reputation but has recently received an “A-“ rating from the Better Business Bureau. Bronze Tier: Pay 60 percent of medical expenses. Silver Tier: Pays 70 percent of medical expenses. Gold Tier: Pays 80 percent of medical expenses. Platinum Tier: Pays 90 percent of medical expenses. Oscar Health also offers health plans for businesses with access to its hospital partners Mount Sinai, Montefiore, and CHS. With the Circle Plus network, the options are expanded to include Northwell, MSK, and Westmed. Oscar’s business health insurance plans include free doctor-on-call service, free concierge service, and no referrals are needed to see an in-network specialist. With Oscar Health Insurance being founded by Joshua Kushner, brother-in-law to President Trump’s son-in-law, Jared Kushner; the relationship between Oscar Health Insurance and the Affordable Care Act (ACA) is a complex one. The ideals of the ACA—offering affordable employer-sponsored public health insurance to all Americans—was conducive to getting health insurance innovators, such as digitally-driven Oscar Health, off the ground. Since the Trump administration has taken over and pledged to do away with certain aspects of Obamacare, there is a possibility of a major disruption in the way insurance companies handle how people initially sign-up for healthcare as well as the policy offerings available. This disruption is due in part to the uncertainly of the healthcare marketplace. 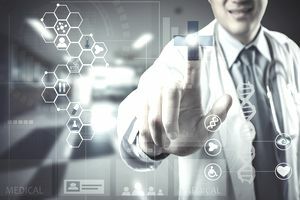 The future of Oscar Health Insurance and many other digitally-based insurers will depend greatly on which aspects of the ACA remain and which ones no longer exist after any reforms to healthcare made by the Trump administration. In 2016, Oscar announced that it would cut its provider network in half in an effort to “gain more control over pricing and patient experience.” A repeal of Obamacare could mean bad news for Oscar Health; however, the company maintained its attitude of perseverance throughout the marketplace uncertainty stating, “The battle to improve American healthcare was never intended to be a speedy endeavor, and will remain critical despite policy changes,” it said. It is a fairly simple process to get a quote for healthcare coverage from Oscar Insurance and you can get a quote in a matter of a few minutes by entering information about your health, prior coverage and employment/income information. For more information about the coverage provided by Oscar Insurance, you can call 1.855.672.2788 or visit the Oscar Insurance website.